So my question is : how to use my custom field in a Rule (simple data comparison, for example)? What is the new way to write user:field_custom? It seems like an infinite loop to me? Furthermore, "More useful tips about data selection is available in the online documentation" and there we have documentation about Drupal 7 Rules. Ultimately, I need to create a Rule in Drupal 8 to automatically give an user role when a new account is saved, depending on a custom field value. The question below is quite similar. 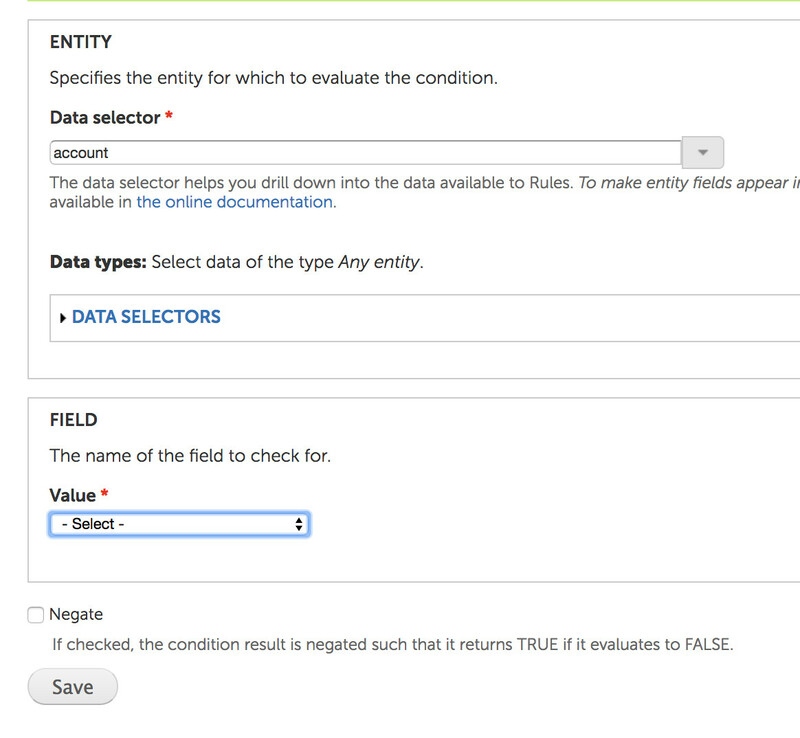 ... since the Field select list has disappeared and custom fields are hidden in the Data selector suggestions. The above is a partial quote of your question. IMO that's not correct. Instead it should say "... since the Field select list does not appear yet and custom fields are not shown yet in the Data selector suggestions". And similar to the (my) answer to the question you linked to: those or some of the things that are still missing in the most recent D8 version of Rules. Refer to #d8rules status update November 2017 to get a better understanding of the current status of Rules for D8. One never realizes what has been done, only what remains to be done ... So start here if you wonder how to contribute. 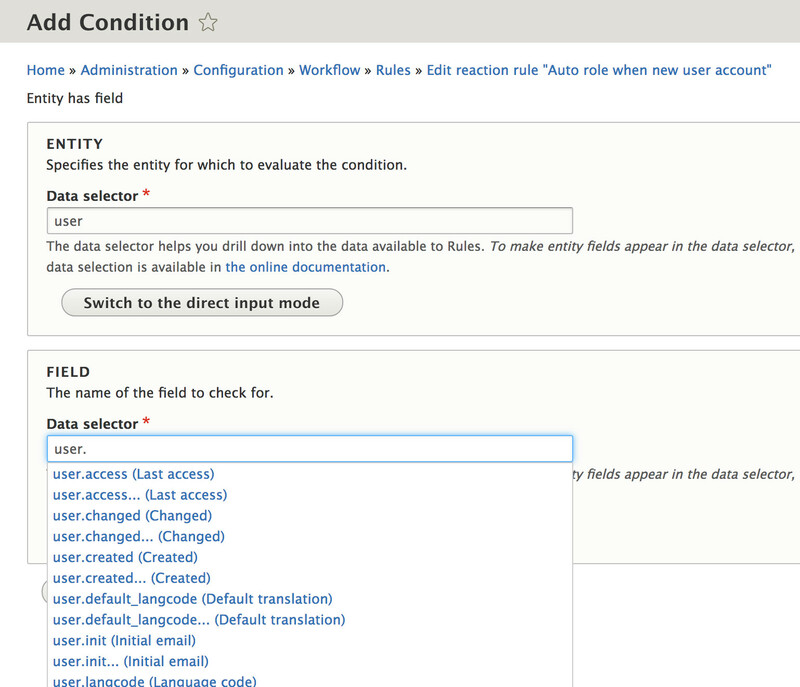 But if you create a User in a Rule and want to get access to its custom fields from this Rule then you can use 'Rules User Fields' module. Not the answer you're looking for? Browse other questions tagged 8 rules or ask your own question. How to create rule to change user role based on points (using User Points module)? Access user profile data in Rules? How to access fields from a goal when creating a node with Rules?